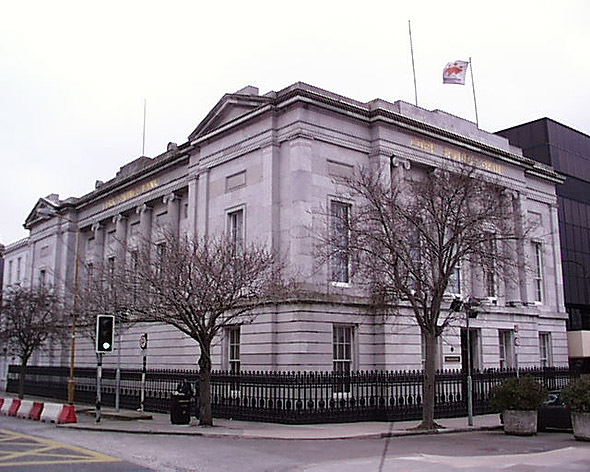 The result of an architectural competition held in 1839, the former Cork Savings Bank (now part of Trustee Savings Bank) was designed by the firm of Thomas and Kearns Deane (brothers) but since attributed to Kearns alone. The building main entrance is kept to the riverside elevation allowing the longer façade to maintain an austere strength becoming to a bank. The piano nobile is articulated by the Ionic columns and flanked by two shallow ‘pavilions’ with pilasters and small pediments. Constructed in limestone.